Water marks on mirrors is an inconvenience most of us have faced numerous times. If not removed correctly, they leave the mirror with a visible stain. No matter where you live, you would have come across these stubborn water spots on your bathroom mirrors, car’s windshield and home windows. If they are not cleaned the right way and on time, they become uncleanable and render the mirror or glass useless. Various cleaning agents are available to help you out in water spot removal and mirror cleaning. 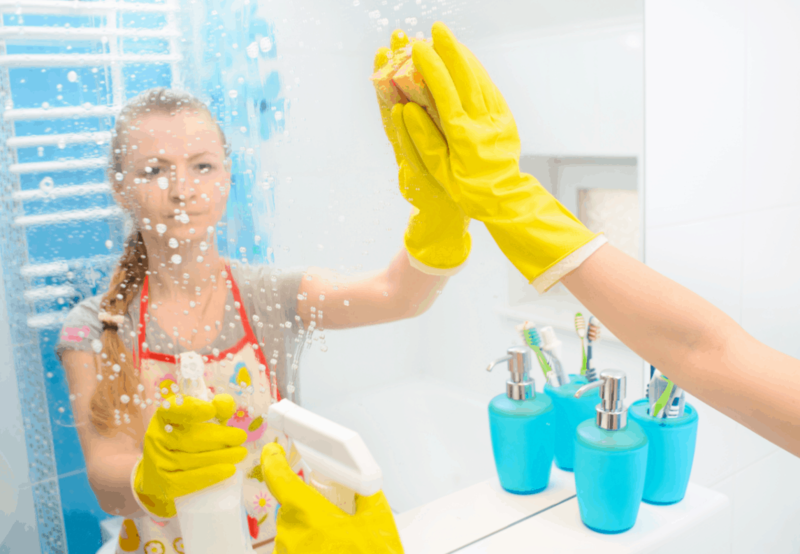 Are you looking for answers about cleaning these water marks from your mirrors and glass, read on and get to know easy ways to do it. Kitchen and bathroom windows and mirrors are the most common sites when it comes to water spots as water droplets can stray from the sink easily. There are many techniques to get rid of these water marks, but if it is hard water, not every technique will work for you. You have to clean it every single time the sink is used and nobody has time for that. Here are some steps you can follow for water spot removal from mirrors and windows and make them as good as new. 1: Make a mixture of 50% white vinegar and 50% water. The best option is to take water with less minerals. 3: On difficult spots, press the towel on the area for some minutes. The acidity of the vinegar will help in softening the minerals in hard water, which will make the removal of these spots easy. You can also drape the wet towel on the mirror or window glass until the water spots disappear. 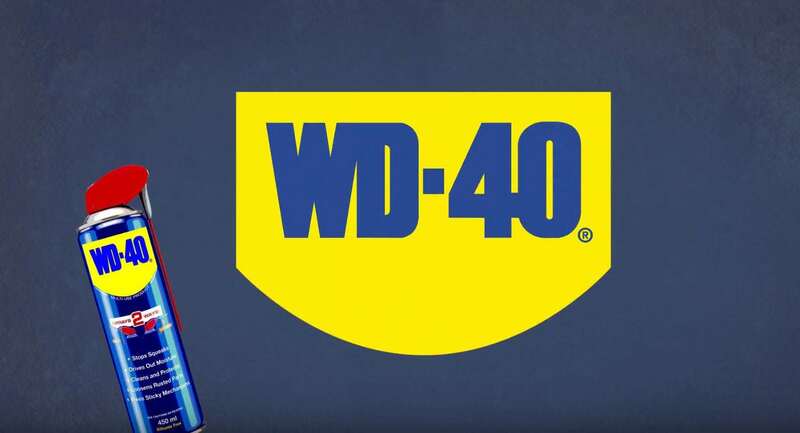 If you do not want to go through the above procedures, you can use WD-40 as it effectively removes water marks from mirrors. It is an effective spray for mirror cleaning and water spot removal and will make it look as good as new. There are other areas where water spots can form such as shower doors. For such large places, it would be too time consuming to follow the above mentioned soak the towel method. Follow the following procedure to get rid of water spots from large areas. 1: Prepare a mixture of 50% water and 50% vinegar. Take a plastic spray bottle and pour the mixture in it. 4: If there are some stubborn water marks, you can loosen the mineral deposits using an old toothbrush. Brush the area vigorously until the water spots are removed. Following is a list of tried and tested methods to remove water deposits from glass and mirrors. These cleaning agents help in breaking the mineral content of the water marks and remove them easily leaving you with sparkling clean windows and mirrors. WD-40 is great when it comes to mirror cleaning and water spot removal. It’s easy to use and all you have to do is spray the liquid on to the affected area and wipe it clean with a clean cloth. It will leave your glass windows and mirrors sparkling clean and as good as new. Plus it offers easy and quick removal of water spots by reacting with the minerals in water and loosening up their bonds making water spot removal easier. If there are some really tough stains on the mirror, then you can use pure white vinegar to clean it up. Spray the vinegar on to the glass or soak a towel in it and use it to rub away the stains. Make sure you wear proper rubber gloves to protect your hands from the acidity of vinegar. Lemon juice also comes in handy when it comes to water spot removal from mirror because of its acidity. Mix lemon juice with water and use this mixture to remove water stains from mirrors and glass. It is an excellent cleaning agent. Make a mixture of water and baking soda and apply the paste to the affected areas of the mirror or glass. Leave it there for about half an hour and then wipe it clean using a wet towel and rinse thoroughly. It will leave the mirror looking as good as new. Rubbing alcohol also comes in handy when trying to remove water marks from mirrors and glass. Take one part of rubbing alcohol and mix it in four parts of water. Use this mixture to clean the windows. It is effective for water marks of mild intensity and is a great option to clean windows and mirrors. A simple mixture of powdered dish washing agent and water can also be used to clean water spots from mirrors and glass. Make a mixture of ammonia and water, soak a towel in it and use this to clean the water spots from mirrors and glass. It is important to wear protective gloves when using ammonia as it can cause serious injuries. It can also cause skin irritation therefore, be careful when handling it. These simple tips can be used to clean water marks from mirrors. 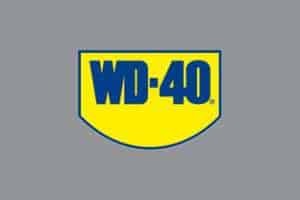 Our go-to product when it comes to mirror cleaning and water spot removal is WD-40 as it is easy to use, quick and presents excellent results.